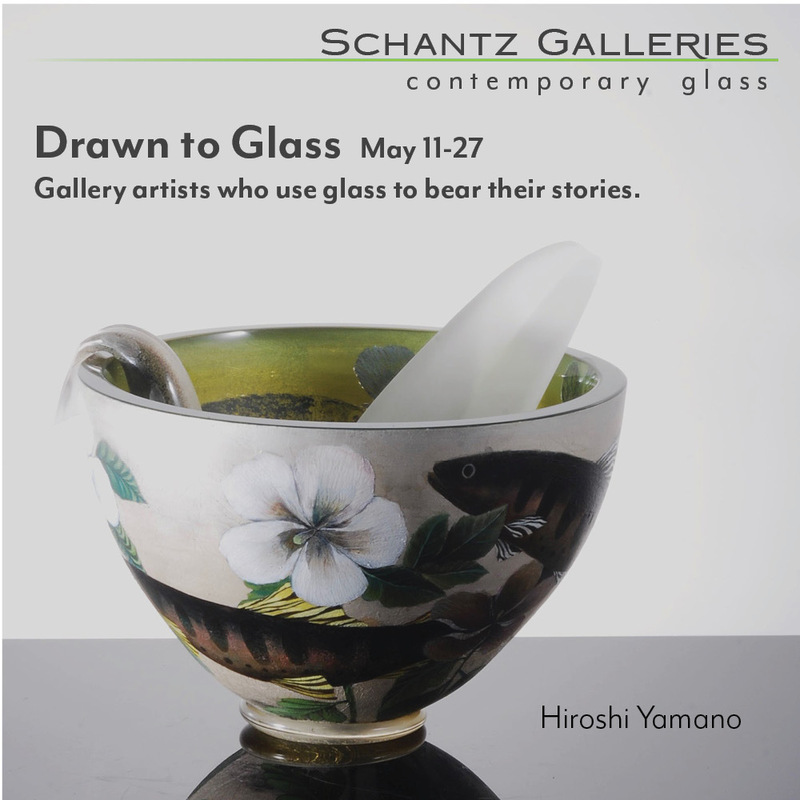 Of the three MFA students graduating from RISD’s glass department in 2010, only one used glass as the primary material in his or her graduate thesis exhibition project, on view at the Rhode Island Convention Center in downtown Providence through June 5th. The other two used video and installation in the work that was the culmination of two years of graduate study for a top-ranked MFA degree. Rui Sasaki presented a nearly 4-hour video of herself lying beside a melting block of ice made from the same amount of water contained in the human body. The video, made over a period of 4 days, was projected onto a screen in front of which sat a similarly sized block of actual ice melting over the a period of days. The work evolved out of Sasaki’s earlier exploration of corners, a word that caught her attention because in English it refers to both an inside and outside corner unlike in Japanese which has two words. Charlotte Potter, Between, 2010. Video, installation. Fellow glass Master’s student Charlotte Potter also incorporated video in her thesis project, which in her case was an eerily realistic waiting room environment where viewers could sit on uncomfortable plastic chairs while an erratically ticking clock failed to advance as a video screen showed a newscaster unable to understand because of jarring edits. The actual footage of him speaking had been removed, leaving only the spaces in between, hence the title. Glass figured into this work only in the form of the video screen and a sliding-glass window meant to reference a receptionist window at a medical office. Potter told the Hot Sheet that the work is part of her ongoing inquiry into failures of communication. Matthew Perez, Lens V: To Capture Everything, 2010. Broken mirror. It was only in the work of Matthew Perez that glass was the primary material. Perez’s broken mirror lens, situated on a main aisle of the show, fractured the images of the surrounding artwork and display space like a disjointed Anish Kapoor highly polished stainless steel sculpture. 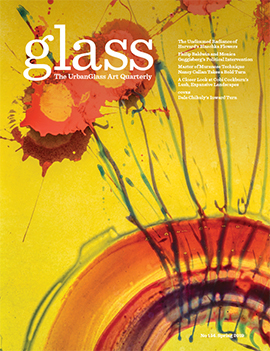 The work is also a reference to Perez’s experiences as a glass caster always concerned about avoiding cracks in work coming out of the annealer. After graduation, Perez has been awarded a Fullbright Grant to study with Richard Whiteley at Australia National University’s glass program in Canberra, Australia, where he will further explore issues of glass casting. In an interesting twist that makes clear the material non-specificity of the RISD training, glass may have been in short supply in the glass department thesis projects, but could also be found in the work of students in other departments such as the project of furniture MFA grad student Deborah Folz’s entitled Thru Comparison: Shift + Grow.